Large Home on Front Row of "Beverly Hills" of San Felipe! Half Bathrooms: 1 "Outdoor Shower and Powder Room"
Size: 5,332 sq. ft. "Total Sq. Ft. "
Lot Size: 19000 sq. ft. 100ft x 190ft "approx." Completely unique and one of a kind, sitting on the Front Row of Puerto de La Paz in Los Medanos North II with an enormous green belt facing the Sea of Cortez! The grande entrance greets you with a glass chandelier, window into a private courtyard, and Italian style wall water feature while the Great Room boasts an 18" tall ceiling. The large propane fireplace and ample room for furnishings will be invite everyone to sit down and be comfortable. Entertaining friends and family will be a breeze with the open kitchen, bar seating, and dining table! The kitchen is equipped with stainless steel appliances including the sub zero refrigerator, electric cooktop, vent hood, wall oven, wall microwave, dishwasher, trash compactor, porcelain double sink then finished with wood cabinetry and Corian Counter tops. A short hallway leads to the laundry area and walk-in pantry in addition to another storage closet and the oversized three car garage. There is a flight of stairs leading to the loft style office, outfitted with his and her desks, wall to wall bookcases, multiple filing cabinets, incredible sea views, and the rooftop terrace. Sitting above the garage, this spot offers superior views towards the San Pedro Martir Mountains in the west, with The Sea of Cortez to the east. Just off of the living space is where the private courtyard is located and all of the bedrooms and bathrooms are situated around it. The Master Suite is generous and provides enough room for a sitting area, propane fireplace, plus king size bed set. The three piece ensuite is enhanced by the additional double sink vanity, walk in closet, along with additional closet space. The additional guest bedrooms are perfect for overnight visitors, each with their own closets and windows to the courtyard. Younger friends and family may be more comfortable in the fourth bedroom outfitted with bunk style bed and TV set. If you would like to take advantage of the great San Felipe weather, entertaining can take place on the rear, tiled patio which is where the hot tub, exterior shower, powder/changing room and BBQ station are located. The BBQ is also a rotisserie and meals can easily be prepared with the double burner and sink. This is a rare opportunity to acquire a home of this size and in this unique location, providing oversized lots on cul-de-sacs with expansive greenbelts to offer superior Sea of Cortez views while only a short distance to the amenities offered at El Dorado Ranch: Lap pool, Activity Pool, Hot Tub, Yoga and Dance Classes, Tennis Courts, and Saturday Swap Meet! Sold Furnished and turn key... priced at $229,000! This property is currently in the Master Trust of El Dorado Ranch. 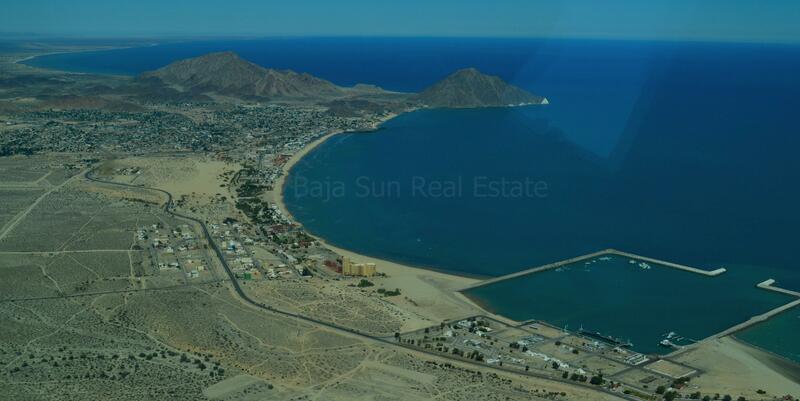 Listing Info, Photos, and Community Description are Exclusive Property of Baja Sun Real Estate, not to be reproduced or copied without Permission 2013- 2019.